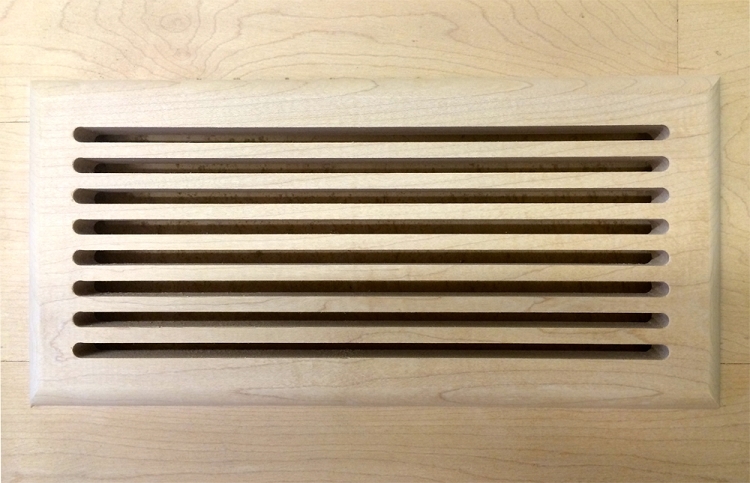 Return Air Grilles are available in all our standard sizes, as well as custom sizes. 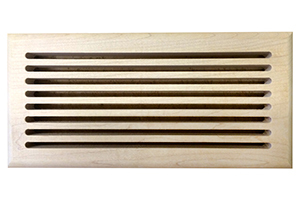 Standard size return air grilles are priced the same as our heat (supply) grilles. For custom sizes, please call for a price quote. 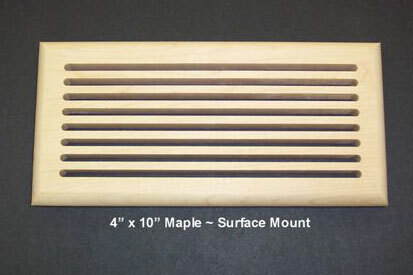 Please Note: Surface Mount Return Air Slotted Grilles start at $31.95 (Red Oak) and are available in any of our wood species. 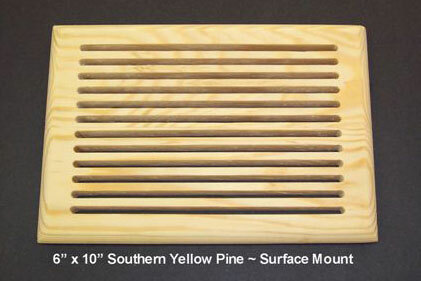 Please select from the drop down lists above your preferred wood species and duct size.